There are many ways to support our bereaved military families and honor their loved one’s service and memory. MMHF offers meaningful, tangible ways to show your support through financial contributions and community volunteer opportunities throughout the year. 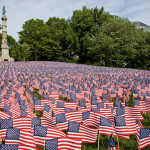 Year Round Campaign – Sponsor a Memorial Day Flag: Every year we enlist hundreds of volunteers to plant this beautiful Flag Garden at the foot of the Soldiers and Sailors Monument in Boston. The garden is made up of 37,000 American flags, each representing a brave Massachusetts service member who gave his or her life defending our country since the Revolutionary War. Please sponsor one or more of the flags in honor of our fallen service members and their families and help us provide vital services and support to this special group of Americans. Your tax-deductible donations ensure the families of the fallen have the support they need. From emergency financial assistance to counseling, advocacy and peer support, MMHF is the only organization in MA providing this comprehensive support. Click the “Donate” button to donate through PayPal. 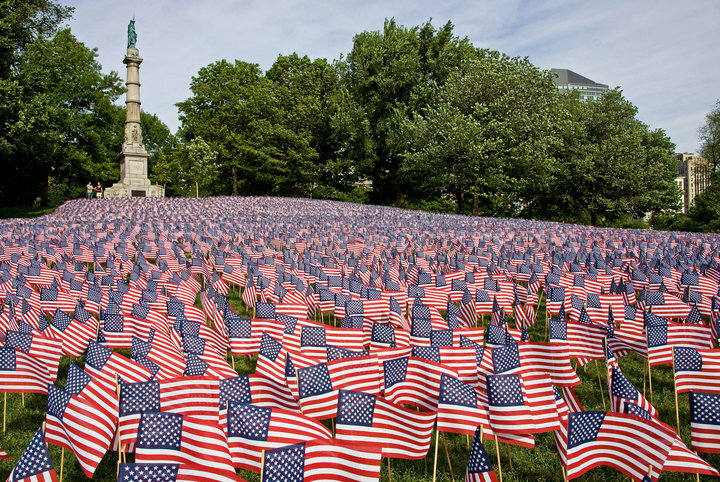 Each of the 37,000 flags we plant at the Soldiers and Sailors Monument will represent every brave Massachusetts service member who gave his or her life defending our country since the Revolutionary War. The completed garden is a breathtaking tribute to the true meaning of Memorial Day and a powerful message of community support to the families of these fallen heroes that their sacrifices will never be forgotten. 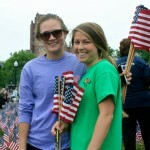 Volunteers are asked to pre-register for this project by sending an email to volunteers@massmilitaryheroes.org. Be sure to indicate whether you are interested in volunteering as an individual, or as part of a company sponsored team. Volunteer opportunities are limited and are not confirmed until a representative of Massachusetts Military Heroes Fund has responded to your inquiry. Updates to ongoing volunteer projects are posted on Facebook.